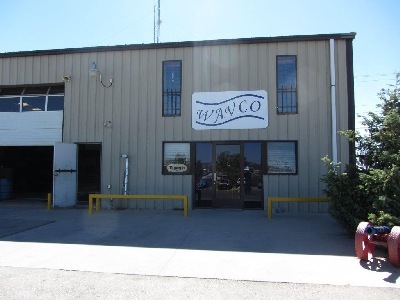 Wavco Pipe & Steel was established in 1988 by Waverly Lamb. Waverly has been, for many years, a welder / fabricator for the Oil & Gas industry. In the late 80s he realized there was a need for an all-around fabrication shop / steel supplier in the San Juan Basin. With the oil & gas industry in a recession he started small and slowly grew into what would become the complete fabrication shop Wavco is today. With strong family values Waverly ran the business and these values have been the key to our success. In 2005 Martin Lamb & wife Carrie took over the business and continues the family tradition: Fast, Honest, Service at a fair price. Wavco Supplies steel for many local businesses and will sell any amount of steel to walk-in customers as well. We carry all common sizes and shapes of steel. Angles, Flats, Sheets, Plates, Beams, Square Tubes, Rectangle Tubes, Channels, Pipe, Bar Grating, Expanded Metal, Rebar, Solid Squares, & Rounds. In addition to steel sales, we also provide Shearing, Breaking, Rolling, Hole Punching, Welding, Plasma Cutting, Sandblasting, & Painting. Most projects we build are in some way related to the Oil & Gas industry, but we also cater to home builders & contractors in any field. We specialize in Pits, Tanks, Boxes, Headache Racks, Skids, Etc.